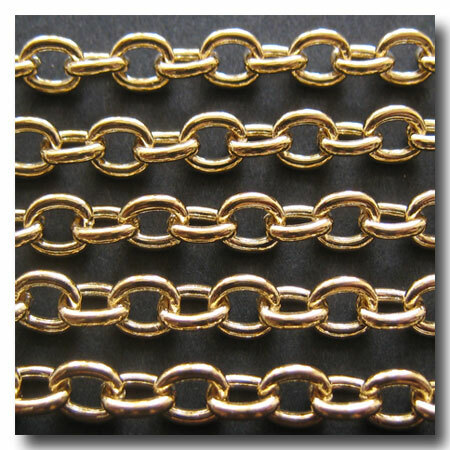 GOLD PLATE CLASSIC ELONGATED OVAL CABLE CHAIN. FINISH: Gold plate. BASE: Brass base. STYLE: Classic elongated oval cable. Closed links. WEIGHT: Medium. 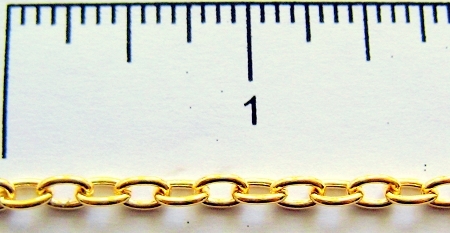 DIMENSIONS: 6mm x 4.1mm. Also AVAILABLE in: Silver Plate 1-383, Rhodium Plate 1-762, Gunmetal 1-351, Antique Brass 1-352, Antique Copper 1-353 and Black 1-355.